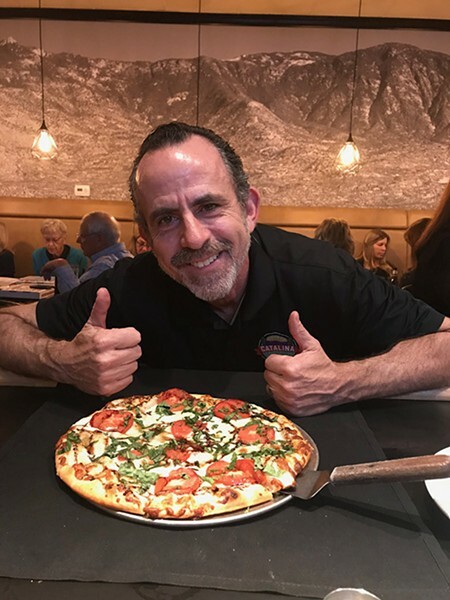 While a delicious pizza is never something to undervalue, Catalina Craft Pizza owner Jeff Bridge does a whole lot more with his restaurant. Located on Oracle Road between Golder Ranch and Saddlebrooke, CCP is growing beyond a restaurant, into a pub and live music venue. This expansion is part of Bridge's "four pillars of business": Craft pizza, craft beer, live music and being a community partner. "We want to keep establishing ourselves as the place people want to be," Bridge said. "I figured, I have craft pizza and beer, live music would be great to add." Bridge began his culinary career in 2013 with co-ownership of It's Greek to Me, off Oracle Road. By using his approach of making "as much as you can in-house with the finest and freshest ingredients" and having "the knowledge and care about what customers put into their bodies," Bridge's restaurant eventually boasted the top spot of all Tucson restaurants on TripAdvisor in August 2015. But the call of the kitchen did not stop there. "It's always been in my blood," Bridge said. "I've always wanted to try it out. I had a lot to learn, but I learned." When Vitello's, a closeby Italian restaurant, went up for sale in the summer of 2016, Bridge jumped on the opportunity. The location was soon rebranded as Catalina Craft Pizza, and Bridge had a "secret weapon" for the new restaurant. The owner of Catalina Pointe Plaza—where It's Greek to Me and CCP are both located—also once operated a pizza place, and offered up tricks of the trade. Alongside a secret, 100-year-old crust recipe, the pizzas at CCP are crafted from flour and tomatoes imported from Italy. The cheese they use is a blend, a mixture of cheese made in-house and purchased from suppliers. This specialty homemade pizza base contributes to Bridge's ethos of the restaurant building the pizza from the bottom up, while the customer builds it from the top down—à la the toppings, which range from standard pizza fare: bell pepper, bacon bits, mushroom, basil, olives; to more specialty toppings like fennel sausage, prosciutto ham, or house meatballs. "We're always wanting to improve upon our products," Bridge said. "We care about what people put into their bodies, and know they do as well." 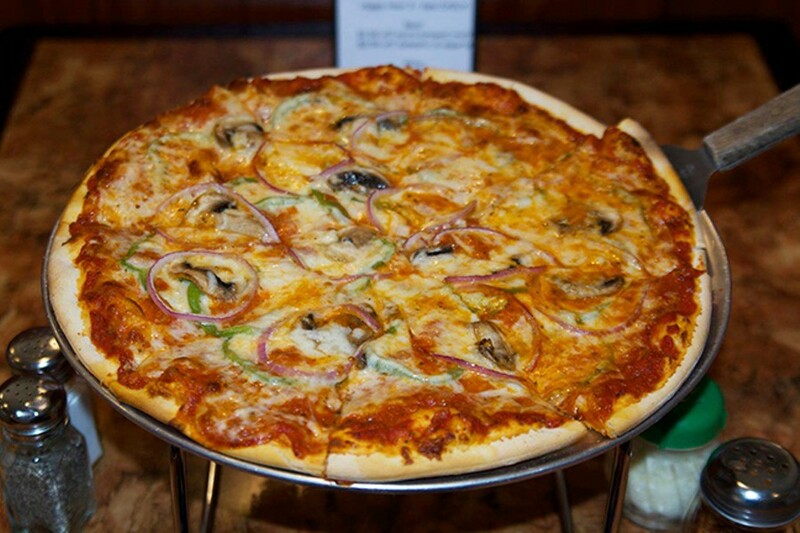 Of course, a locally crafted pizza wouldn't be complete without a locally crafted beer. So Bridge contacted the nearby Catalina Brewing Company, and pitched his idea for a collaboration. CCP now offers ten different types of Catalina Brewing Company beer on tap, and is the brewery's largest distribution point. CCP also recently brought in locally made Sentinel Peak Brewing Company's beers. "The fact this beer is made by our neighborhood firefighters just makes it that much better," Bridge said. The locally crafted food and drinks were a hit, but Bridge still wasn't done. Being a lover of live music, he opened the restaurant for Tucson bands of every genre to perform in. Now, CCP hosts live music every Friday and Saturday night, and have hosted dozens of local bands, with performances happening every available night. "Tucson has a very vibrant local music scene, and I knew I could tap into it and bring people into the northwest," Bridge said. "I cross multiple genres, blues, folk, jazz, country... there's no one I wouldn't consider. I am extremely fortunate and grateful to the people who play here. I've had some of the best in town." For his final "pillar," Bridge combined altruism with appetite, offering fundraisers in his restaurant for local members of the community. These often come in the form of a portion of each pizza sold going to those less fortunate. In the past, CCP has hosted fundraisers for the medical bills of a member of the Golder Ranch Fire Department, for IMPACT of Southern Arizona, Coronado K-8 wrestling and track teams, the Humane Society of Southern Arizona and more. In 2018 alone, CCP fundraisers totaled over 10,000 dollars. "I'm just doing what I think people should, I don't want extra recognition for it," Bridge said. "When you have a restaurant, a platform, to hold events like this to raise money for good causes—you do it." As for 2019, Bridge says the sky's the limit, though there are a few specifics he has in mind. He plans to set up a pizza delivery service, host larger events out of CCP, and further the restaurant as a place for local musicians to come and play. "I'm amazed at how much the live music has taken off," Bridge said. "People say we're doing well."